Whether for the collector or the outdoorsman, McDougall shares all his knowledge and understanding of this tool for you to understand and better appreciate. 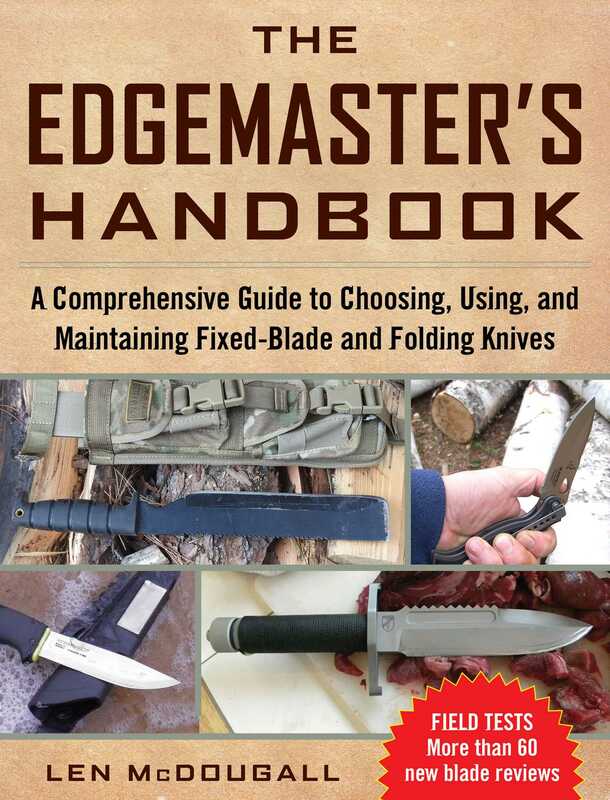 The Edgemaster’s Handbook is just that; a collection of tips, tricks, lessons, and knowledge from a professional that will make sure you master the usage of knives in your daily life. Len McDougall is a field guide and wildlife tracker in Michigan’s north woods, where he teaches survival classes and tests outdoor products. He has written for Field & Stream and published several books, including The Self-Reliance Manifesto, The Complete Tracker, The Encyclopedia of Tracks and Scats, The Field & Stream Wilderness Survival Handbook, and Practical Outdoor Survival.